Along with providing a solid grounding in business strategies and technology, online MBA programs offer many opportunities to build your soft skills. Often, knowing how to present fresh ideas and cooperate with others can prove just as important as technical ability to your success in the workplace. During your advanced education, you’ll discover the means to cultivate these essential skills. Earning your MBA is about leaping forward in the resources you bring to the job and readying yourself to act as a leader. Inspiring confidence in others and motivating them to do their best work requires a firm understanding of the individual needs of employees and your organization’s overall culture. You learn to strengthen your areas of expertise, work with others on complex projects and receive honest feedback. To advance your career, you must be able to get your ideas across clearly and convincingly. Your education prepares you to take the next step in your career by teaching you a variety of ways to present information and concepts. 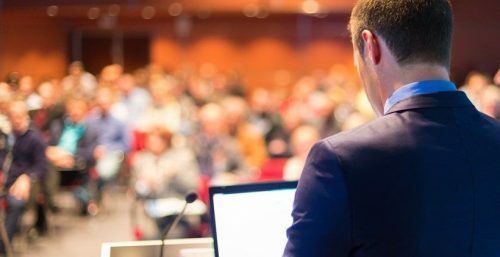 Whether you’re presenting at a conference, submitting a formal proposal, charting an analytical model or writing a memo, you’ll need to understand how to tailor your message to its audience. A good leader does not always accept information and claims at face value. MBA students learn to ask the relevant, analytical questions that lead to better decisions. By striving to understand the big picture, they find out how different aspects of a business are related to each other and gain insights that can bring significant improvements in the organization’s processes. Coming up with inventive ideas for new ventures or a fresh angle on established practices within a company is often a challenging prospect. MBA classes give graduates the knowledge and strategies to brainstorm, research and vet exciting concepts. Students learn to identify areas of need or opportunity and take the first steps toward innovation. Sometimes, the best strategy for a leader is listening to suggestions from others or delegating a responsibility to a specialist. Part of an MBA education is teaming up with peers to exchange ideas and complete projects. This collaborative experience is highly useful when you need to coordinate individuals on a team, who may have vastly differing areas of knowledge, by setting clear priorities and keeping everyone on track. Productive cooperation also calls for an awareness of how people’s varied cultural backgrounds can impact their points-of-view and expectations. Respecting and working with these differences is the key to opening up opportunities in a global economy. A knowledge of foreign languages and an orientation toward working across national boundaries can be major advantages in business. When top executives are looking for an individual ready to advance into a leadership position, they are interested in someone who commands respect. Honesty, responsibility and reliability in your work demonstrates that you are ready to progress into your next role. These are qualities you can cultivate during your time working on an MBA, finding how ethical behavior can strengthen your reputation and go hand-in-hand with professional accomplishments. In the constantly changing world of business, almost nothing goes precisely according to plan. Being prepared to adapt to new circumstances is one of the most useful soft skills you can take away from your courses. If you’re able to make the necessary adjustments while still delivering top-quality results, that means you’re poised to meet the challenges that come with a fast-paced position. An individual can only grow if he or she is willing to take a step back from time to time and engage in honest self-assessment. While in school, you’ll have plenty of chances to consider how you have strengthened your skills and where you still need to put in more effort. A realistic perspective on your own accomplishments will serve you well as you continue to progress. In education and business alike, you will encounter challenges. Not every project you work on will be a great success and not every proposal you offer to top decision-makers will be embraced. As you ready yourself to move forward in your career, concentrate on bouncing back from these setbacks and turning them into valuable learning experiences. To enhance both your technical and soft skills for today’s marketplace, you need an advanced education built around the latest thinking in business strategy. The Villanova University Online MBA program offers hands-on experience in the principles, technology and interpersonal relationships that drive successful organizations. Visit the program page to learn more and find out how to apply.